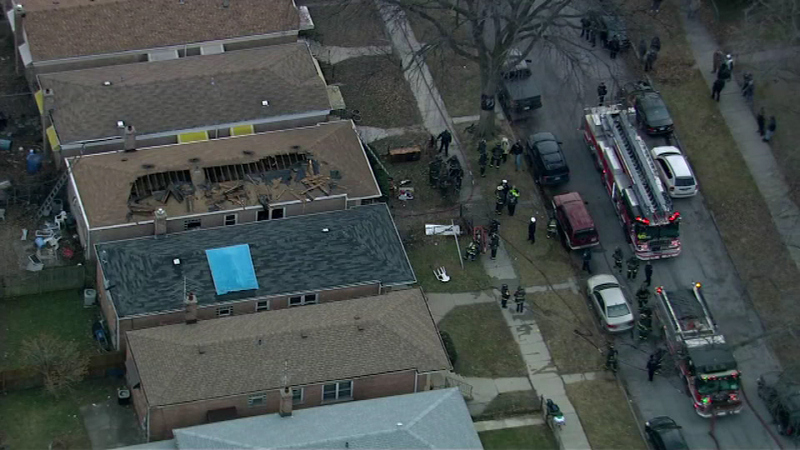 CHICAGO (WLS) -- Several firefighters were freed Friday afternoon after they became trapped in a basement while responding to a house fire on the city's Morgan Park neighborhood. Chicago Fire Dept. officials said they responded to reports of a fire inside a one-story home around 2:30 p.m. near 113th and Elizabeth. Firefighters were inside fighting the fire when a there was a flashover, and a mayday was called. All firefighters are now accounted for and three firefighters were taken to area hospitals as a precaution. Chicago police officials said an officer was injured while conducting crowd control on the scene. He suffered minor injuries after being struck and was treated on the scene. The offender was taken into custody.